A flush decked single engine ocean cruiser for round bottom sheathed strip or multi-chine aluminum construction. 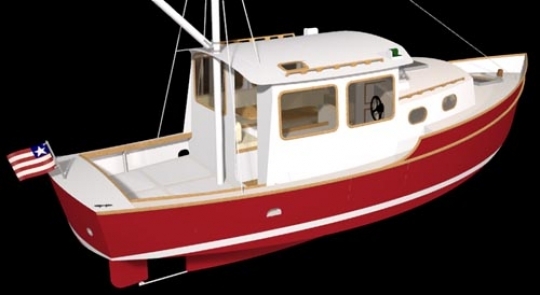 Our Trawler 28 is a sturdy offshore trawler with a straight shaft inboard diesel. This makes the TW28 an ideal boat for a couple to live aboard or for a crew of 4 on vacation.